Bajaj Auto has officially launched the 2019 Dominar 400 in India priced at Rs 1.73 lakh (ex-showroom Delhi). The 2019 Dominar gets a host of cosmetic as well as mechanical updates. It is now available with a dual channel ABS safety feature as standard and also with two new colour options including aurora green and vine black. The deliveries of the motorcycle have commenced across all the Bajaj Auto dealerships. 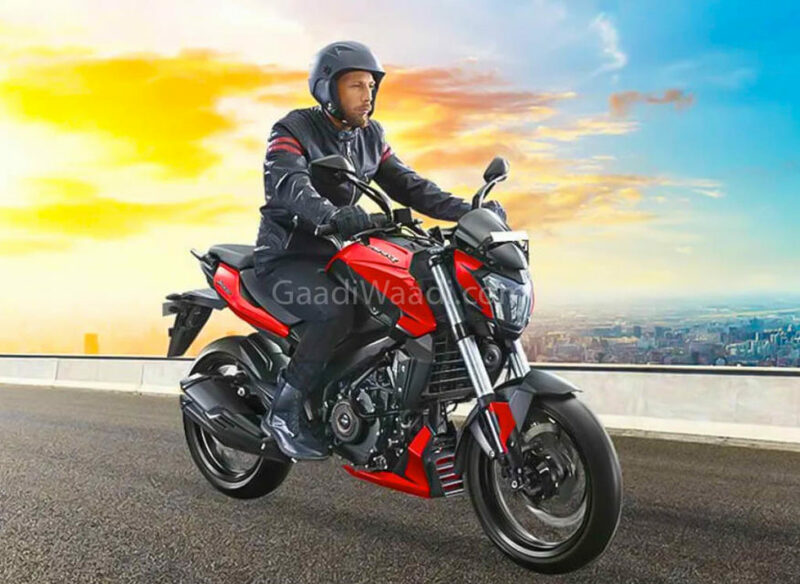 Talking about the changes, the updated flagship offering from Bajaj Auto has received a beefier 43mm upside down forks towards the front which replaced the conventional telescopic units of the older motorcycle. The rear profile still continues with the same adjustable monoshock suspension setup. Bajaj has also revised the internals of the LED headlamp and taillamp for better performance. The 2019 Dominar now also features a new side stand constructed out of forged steel and a new mirror design with cast aluminium stalks. Besides all these changes the secondary instrument cluster positioned on the fuel tank provides more information including, odometer, gear position indicator, and a digital clock. 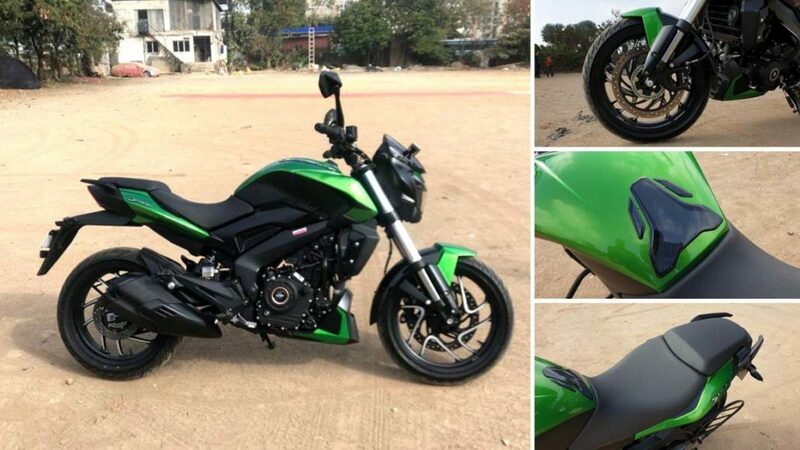 To enhance the touring capabilities of the motorcycle Bajaj has also added a bungee stays underneath the pillion seat. Lastly, it also has received a new twin barrel exhaust as well which promises to offer a throaty exhaust note. Coming to the powertrain the Dominar still continues to be powered by the same 373.3cc, liquid-cooled single-cylinder, fuel injected engine. However, the new engine now features a dual overhead camshaft. As a result of the change, the same engine now produces about 40 PS of peak power (5 PS more than its predecessor) at 8,650 rpm and 35 Nm of peak torque at 7,000 rpm. The engine is paired with a 6-speed gearbox and gets a slipper clutch as standard. The new Dominar still uses the same 320 mm disc brake towards the front and a 230 mm disc at the rear. Like we already mentioned a dual channel ABS is offered as standard now.